Last fall, I bought several used books to help me get through the long, cold winter months. 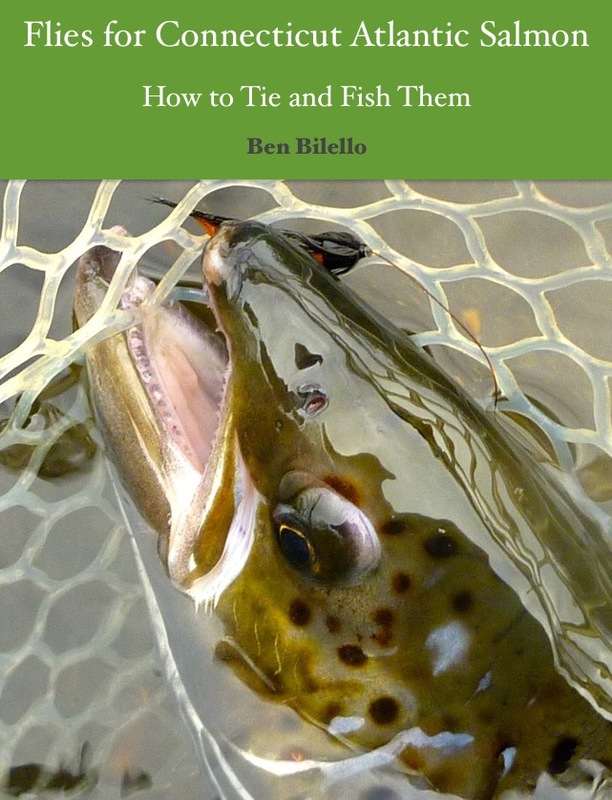 I added every reasonably priced Atlantic salmon fishing book I could find to my Amazon cart. I got an awful lot of books for my money. Despite the common subject, it was a diverse selection of books. Given the number of salmon fishing books I already own, a few were redundant. They were given to friends. Of the eight or so books I bought, my favorite was the simplest book of the bunch. It's not necessarily better written than the rest, but the subject appealed to me the most. Published in 1996, Atlantic Salmon Fishing in Maine, by Paul C. Rzasa (1939-2010), is a collection of stories and information about the subsequently closed Atlantic salmon fishery in Maine. A couple of years ago, I posted a brief interview with Topher Browne on this blog. When asked if there was one destination he'd like to fish for Atlantic salmon more than anywhere else, he answered "Maine." I was slightly taken aback by his reply. Had I been asked the question, it would not have been my first choice. At least in post-colonial times, I can't imagine Maine's salmon rivers ever equaling the Miramichi or the Restigouche (in terms of run size and fish size, respectively). Even in its heyday, Maine's most prolific river, the Penobscot, was probably no match for the Restigouche, which is one of the world's great big-salmon rivers. The draw is that Maine is the only state in America with a run of wild Atlantic salmon. Their genetic integrity is still intact. It has been that way for about two hundred years. Atlantic Salmon Fishing in Maine definitely didn't make the state sound like salmon fishing utopia. Nevertheless, Rzasa caught plenty of salmon in his home state. I have a couple of older friends who have both told me they used to "knock 'em dead" on the Penobscot decades ago. Rzasa wrote about catching salmon in the Downeast rivers, too. It wasn't just the Penobscot. A salmon fisherman had options back then. Now I understand why Topher Browne answered my question the way he did. There was a brief period of time in my salmon fishing history when I could have fished the Penobscot in autumn. I drove past it on my way to Canada. I wish I had at least stopped for a day or two. Who knows when I'll have that chance again, if ever? I still want to visit Iceland and fish more Russian rivers but, after reading Atlantic Salmon Fishing in Maine, I agree with Topher. If I could fish for Atlantic salmon anywhere in the world, it would be in New England. 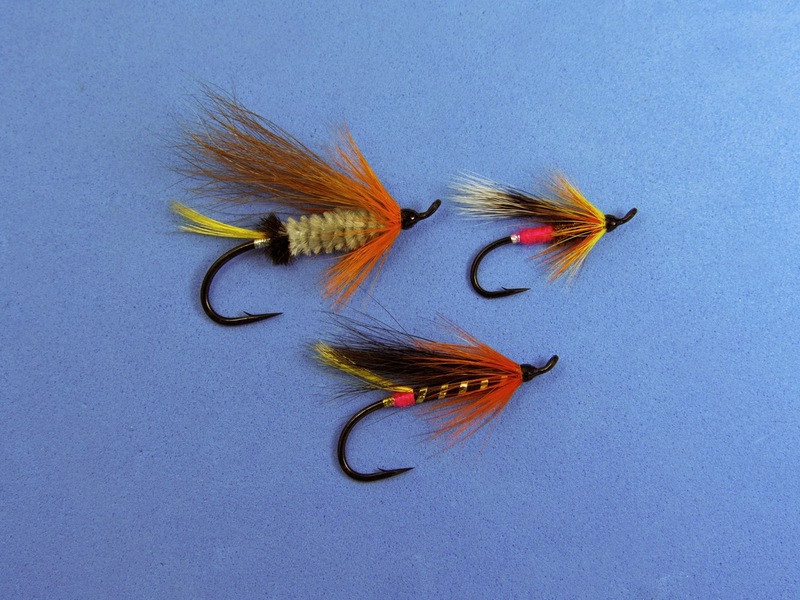 Here are a few patterns that were devised specifically for fishing in Maine. 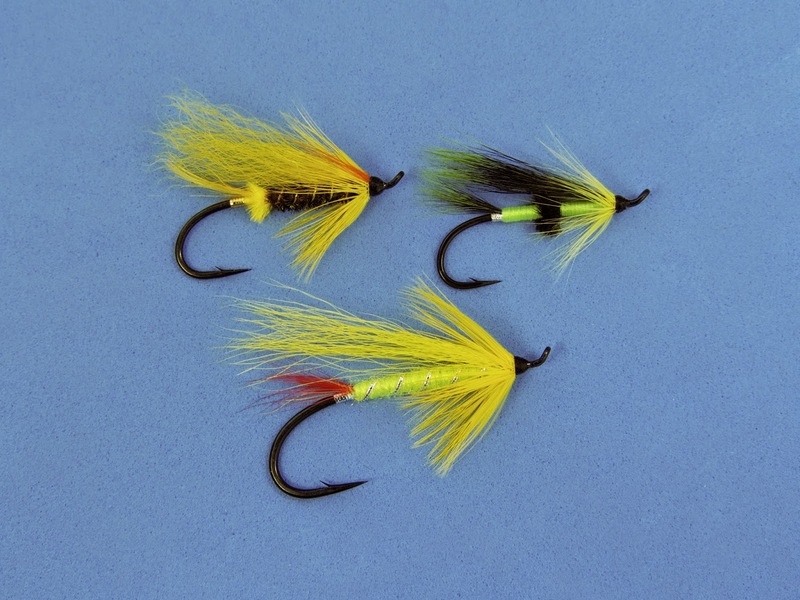 The vast majority of the flies I found were designed for the Penobscot fishery. From what I gather, the Penobscot River had the earliest run of salmon, so it's no surprise that many of the Penobscot flies I found were big and brightly colored. I found a fair number of fall colored patterns, as well. One distinct trait I found in Maine's salmon flies is the use of the color pink as an accent color. There is no shortage of flies with pink components. Given how infrequently pink is seen in Atlantic salmon flies from the rest of the world, the high percentage of partially pink flies from Maine definitely stood out to me. Good stuff and beautiful flies, Ben. Nice to keep the history alive.